Windows 8 has been received very positively. 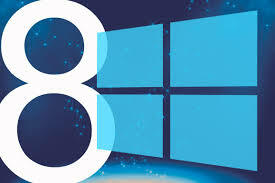 What is more interesting about Windows 8 is its emphasis on mobile devices. The best thing about it is that you don’t have to familiarize yourself with two operating systems for your tablets, PCs and laptops. With mobile devices, there is the constant need to be online. If you travel a lot, this desire would make you use a lot of unreliable internet connections. That’s where the usefulness of VPN service comes into picture. With a VPN service, you can protect yourself from cyber-attacks and especially from sites which look to steal crucial data from you. SSTP is becoming a widely popular VPN protocol these days. That’s why we are going to talk about setting up SSTP VPN on Windows 8. Before you can configure the connection, you would have to create one first. To do so, right click on the network icon in the taskbar. Click on ‘Open Network and Sharing center’. In here, click on ‘Set Up a new connection or network’. In the setting up the connection window, select, ‘Connect to workplace’, and then click next. In the next window you would be asked if you would dial directly, or connect through Internet. Select ‘Use my Internet connection (VPN)’. In the next page, you would have to enter the details of the VPN service. You would have to enter a name of the service and also the server address. Now that, you have created the connection, click on the network icon and you would see the connection which you have recently made. In the System tray, you would see that the VPN connection you have recently created has been connected. However, you aren’t done yet. Right click on the icon and go to the properties. In the window that opens, go to the Security tab and in the type of VPN, click on ‘Secure Socket Tunneling Protocol’ (SSTP) and press OK.
Now that you have set the configurations right, just click on ‘Connect’ and enter the username and password as provided by your VPN service provider. And you are done! Setting up SSTP is thus so easy with Windows 8. The crucial step is to understand that the change of protocols lie in the Security tab of the properties of the connection.